Canada’s future curling stars will be on display in Sudbury, Ont., when that city plays host to the 2020 Canadian Under-18 Boys and Girls Curling Championships, it was announced today by Curling Canada. The fourth annual Canadian Under-18 Championships are scheduled for April 21-26, and will be co-hosted by the Idylwylde Golf and Country Club and the Gerry McCrory Countryside Sports Complex. 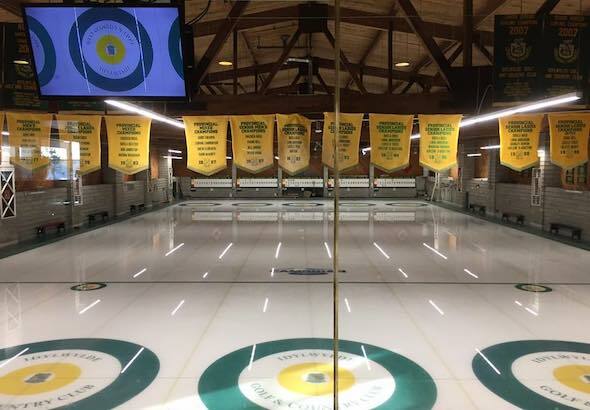 The event, which will feature representatives of all 14 of Curling Canada’s Member Associations in both genders (aged 17 and under as of June 30, 2019), will see athletes competing on arena ice at the Gerry McCrory Countryside Sports Complex, as well as on the club ice at the Idylwylde Golf and Country Club. The teams will be seeded into two seven-team pools, and will play eight-end round-robin games. The top four teams in each pool will advance to a double-knockout playoff, leading to the final four qualifiers, who will then meet in Olympic-style semifinals. The arena at the Gerry McCrory Countryside Sports Complex. Athletes who enter playdowns leading to the U-18 nationals can (assuming they meet the age guidelines) also participate in the 2020 New Holland Canadian Junior (Under-21) Men’s and Women’s Curling Championships, which are set for Jan. 18-26 in Langley, B.C. Sudbury is no stranger to hosting major curling championships, and is one of just a handful of Canadian cities to have played host to all of Curling Canada’s long-standing championships — the Tim Hortons Brier (1953, 1983), the Scotties Tournament of Hearts (2001), the Canadian Juniors (1990), the Canadian Seniors (1973) and the Canadian Mixed (2012). 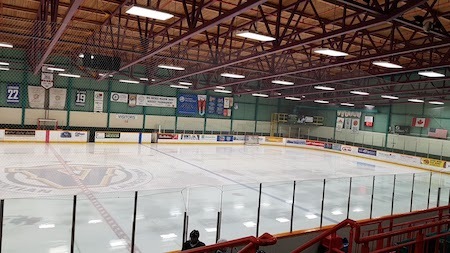 The Canadian Under-18 Championships first took place in 2017 at Moncton, N.B., and have since taken place in 2018 in Saint Andrews, N.B., and earlier this month in Sherwood Park, Alta. There’s a solid chance that Sudbury fans will have a local team to cheer for next year. Bella Croisier’s team, which plays out of the Idylwylde club, is coming off an amazing season that saw it win gold at both the 2019 Canadian Under-18 Championships in Sherwood Park and the Canada Winter Games in Red Deer, Alta. Three members of the team — Croisier, second Piper Croisier and lead Lauren Rajala — are still eligible to compete in Under-18 competition next season, while vice-skip Jamie Smith has aged out into juniors.